My parents own an incredibly old Raclette machine that they were given as a wedding present many moons ago… Every once in a while it is dusted off, ready to be used to cook/grill the Raclette. 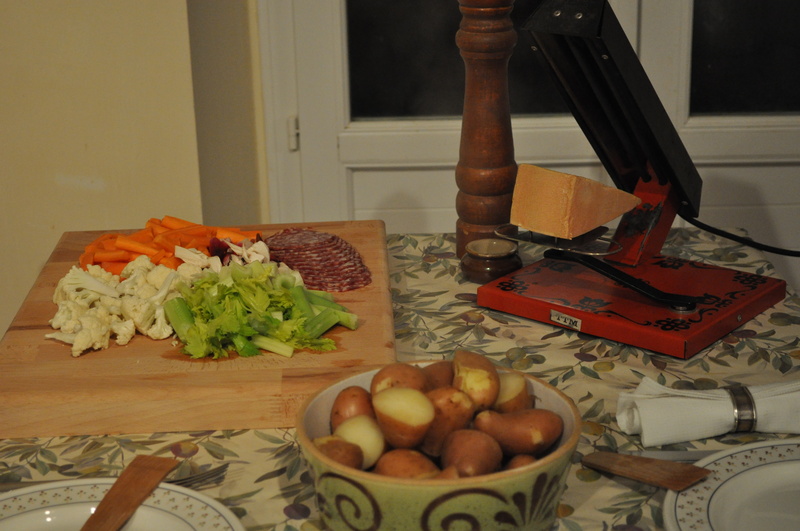 I am not sure how safe our machine is but I don’t care as it transforms the Raclette into molten cheese that is absolutely delicious when served with crudités (raw vegetables), boiled new potatoes and cured meat. 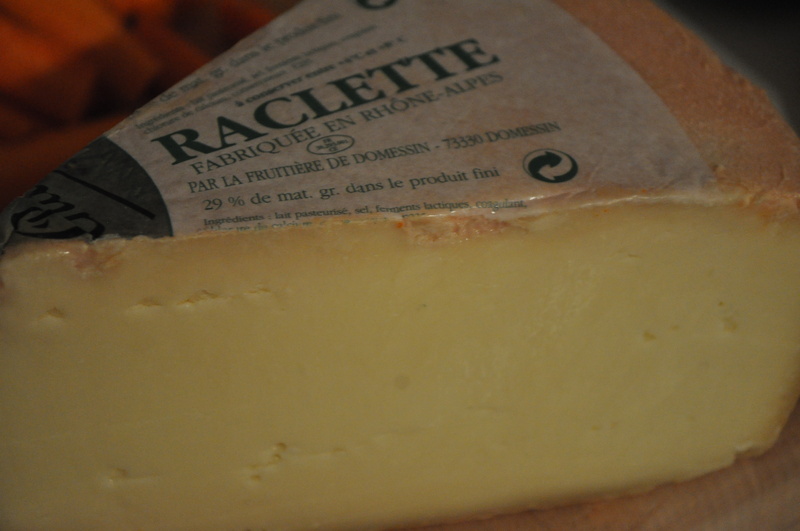 Raclette is an expensive cheese to buy, so it is best bought when it is on offer. However, as a treat once in a while it is worth spending your money on… You can normally find it being sold in a deli, specialist cheese shop or, if you are very lucky, in the supermarket. 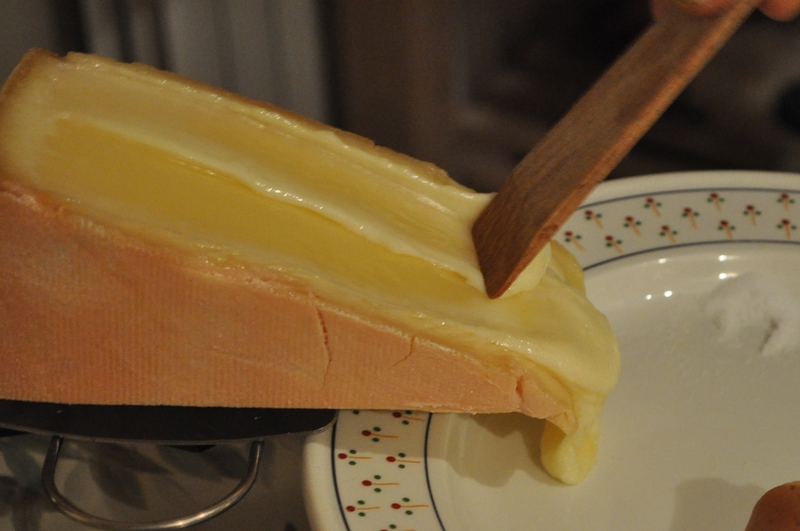 Don’t panic if you don’t have a Raclette machine you can always melt it in a non-stick frying pan or on a griddle. 1. Melt the cheese using your machine or in slices using a frying pan/griddle. 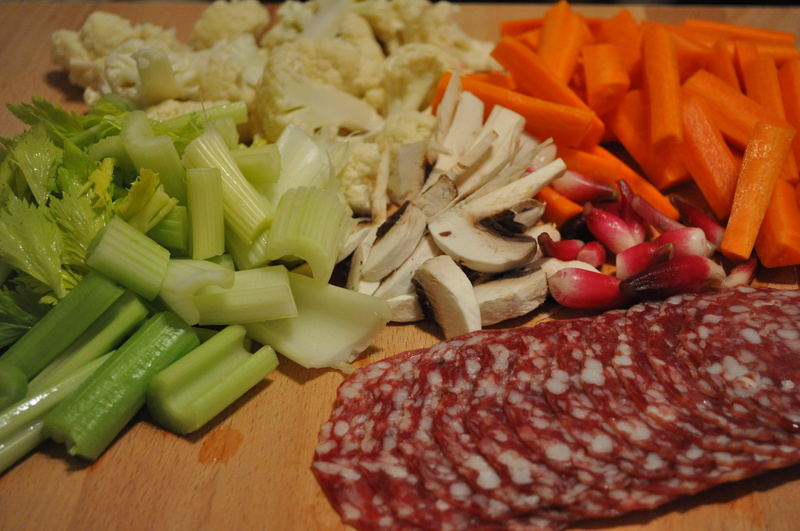 Serve whilst hot with the other vegetables and meats that have been laid out on a large platter. Enjoy! This entry was posted in cheese, main meal and tagged cheese, comfortfood, fondue, food, france, instayum, recipes on November 13, 2012 by Antonia Cooks.